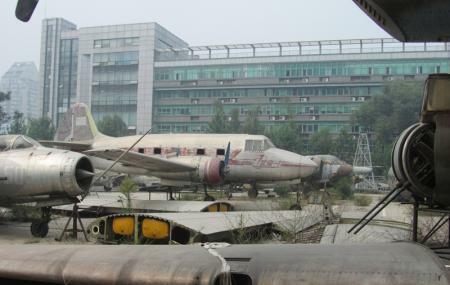 Chinese Aviation Museumis located in the Xiaotangshan Town, Changping District. It is Asia’s biggest museum that displays aircraft relics and artefacts. The place holds a collection of 200 aircrafts that are a total of 100 types. There is also a colossal collection of weapons and other equipment totalling up to 700. So if you are a fan of aircrafts or would like to know more about the subject then visiting the destination is a good idea. CNY20 for the Cavern Exhibition Hall and CNY20 for the Integrated Hall. The entrance ticket is free of charge. How popular is Chinese Aviation Museum? People normally also visit Jingshan Park while planning their trip to Chinese Aviation Museum.